The Symphonieorchester des Bayerischen Rundfunks has already performed several Beethoven symphony cycles. 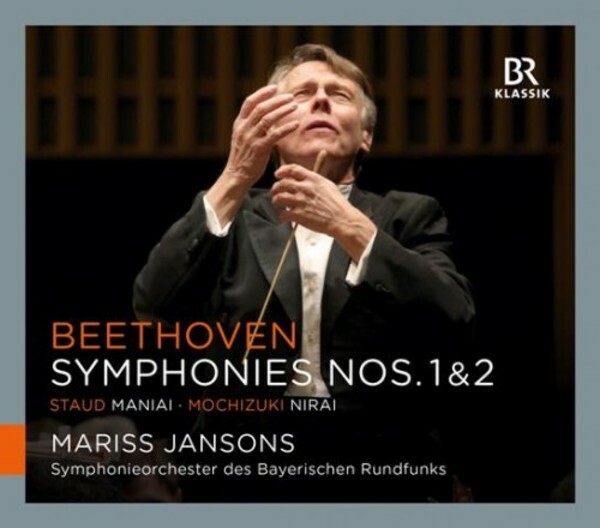 Chief conductor Mariss Jansons has now extended the cycle concept in several regards, with performances of the works in Tokyo's Suntory Hall with its excellent acoustics, with specially assigned commissions from contemporary composers who were asked to contribute their own musical reflections on Beethoven's symphonies, and also with the publication of live recordings of these outstanding concert events on the music market. The live recordings of Symphonies Nos 1 and 2 were made in November 2012 in Tokyo's Suntory Hall, and were exceptionally well received by the public and the trade press. The Music Pen Club of Japan praised Mariss Jansons shortly after the tour for his "new, modern and transparent-sounding Beethoven". The two modern works based on the First and Second Symphonies were contributed by the composers Misato Mochizuki (born Tokyo, 1969) and Johannes Maria Staud from Austria (born 1974). Mochizuki lives and works in Japan and Europe where, as a composition teacher and composer-in-residence, she passes on her knowledge. Johannes Maria Staud attended masterclasses with Brian Ferneyhough, among others, and has been awarded numerous prestigious prizes for composition all over Europe.